Some of the original church photos in this collection are large, which was necessary to pick up the amazing detail. Select "slideshow" at the top right, which shows much better clarity than clicking on the thumbnails. All of these Vienna church photos were taken on a 4 hour whirlwind, self-guided tour on May 26, 2011. Many central Europe churches have limited public access, keep odd hours, and are closed for big blocks of time during the day-all of which must be planned around. 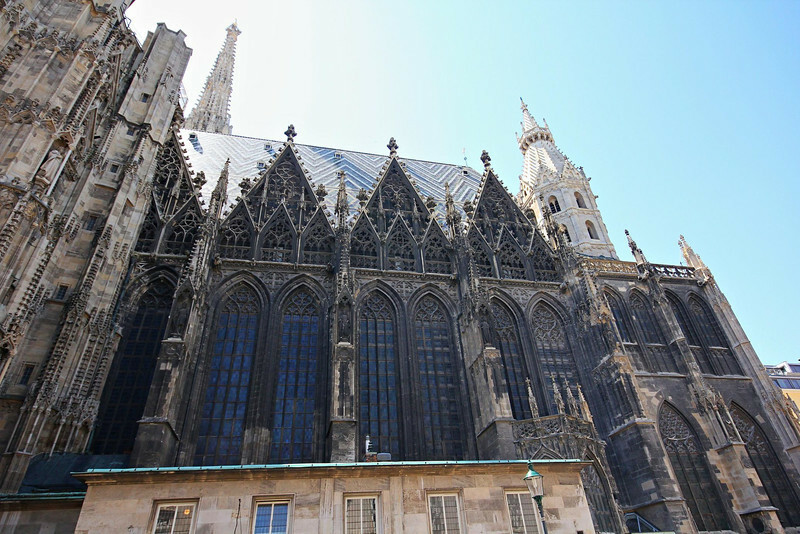 St. Stephen's Cathedral, Vienna. The church caters to tour groups and tolerates a constant flow of visitors in peak season.